"You asked for Olivia Pope, you got Olivia Pope." Scandal is back, y'all! In the Season 5 episode "The Candidate," Mellie seeks out Olivia’s help but may not be prepared for what that entails, and Liz tries to convince Susan Ross to run for the presidency. Meanwhile, Abby and Cyrus are at odds when a profile piece on Fitz comes into question. Check back later for anothervideo sneak peek -- and see photos straight from the episode below! Wine in hand? Check. Distressed look on beautiful face? Check. 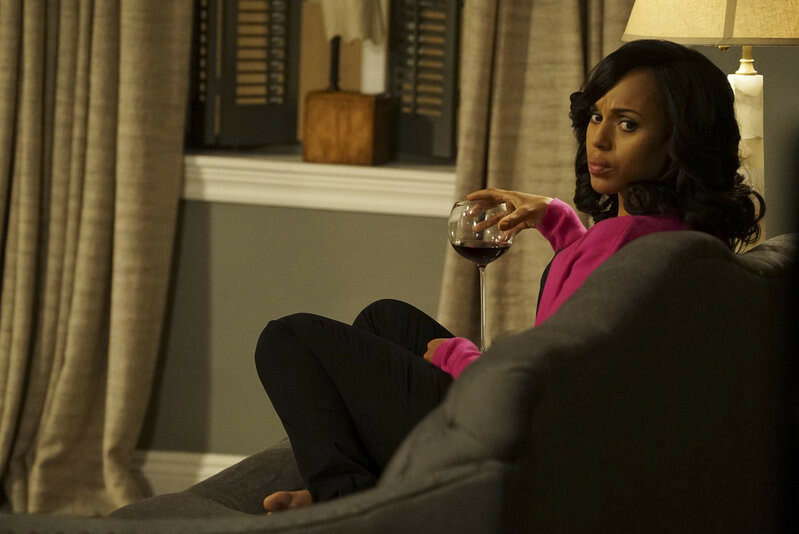 Yeah, we can't wait to see what's in store for Olivia Pope next week! Need a recap of the Scandal Season 5 Return? Watch our new weekly video series Scandal Pops!